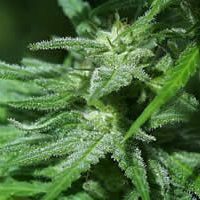 KC Brains Bahia Black Head female Seeds produce a ‘Mostly Sativa’ cannabis plant with Photoperiod genetics and a flowering time of 8-10 weeks. Buy KC Brains Bahia Black Head female Seeds at the lowest price online now! 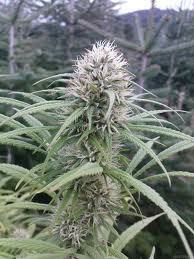 KC Brains Bahia Blackhead is a mostly sativa hybrid bred by KC Brains seed selectors. They crossed a pure Brasil and two KC 606 males and got a marijuana variety with the exquisite qualities of the Brazilian Sativa but with an earlier KC strains finishing time to allow outdoor cultivation in temperate zones. Indoor cultivation is still possible but she will show her full potential outdoors. 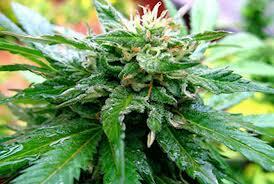 This cannabis is very easy to cultivate. When grown outside, Bahia Blackhead seeds produce strong pest and mould resistant bushes of 2.5 m high. Indoor varieties are quite petite and do not grow higher than 80 cm. After a short flowering period that lasts from 8 to 10 weeks, her branches will be covered with copious amounts of medium size buds. 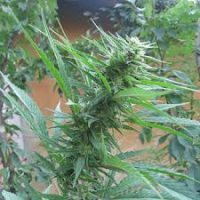 They don’t have any particular odour during early flowering, however, become a bit pungent towards the end with nice and earthy-hash marijuana flavour. Bahia Blackhead is ready for harvesting already at the end of October with a great 850 gr. per plant. She still produces a heavy yield when grown indoors with as much as 130 gr. 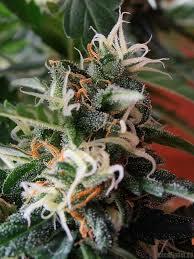 per plant which is not bad for a sativa. It’s also recommended to top Bahia Blackhead plants at the 3rd or 4th node that will boost her power to heavier bud production. She is extremely easy to grow inside. Flowering takes 8 weeks.